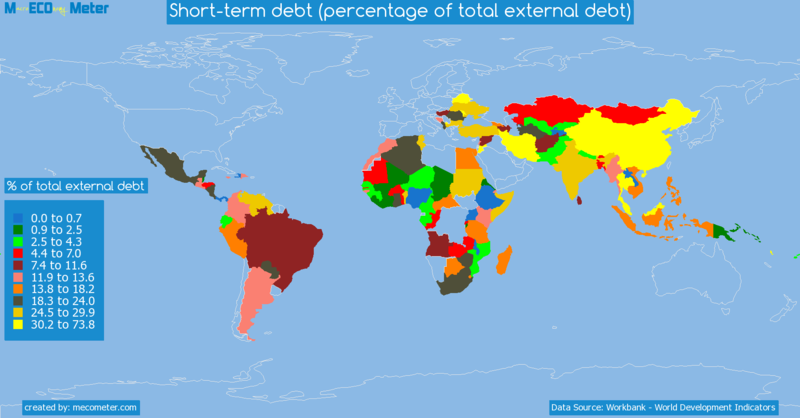 Value & RankThe Short-term debt (percentage of total external debt) of Peru is 15.8 (% of total external debt) with a global rank of 44. 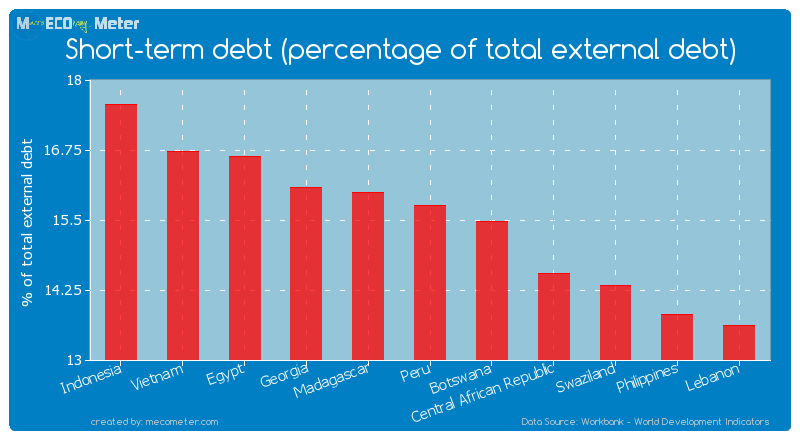 Peru compared to other CountriesThe Short-term debt (percentage of total external debt) of Peru is similar to that of Indonesia, Vietnam, Egypt, Georgia, Madagascar, Botswana, Central African Republic, Swaziland, Philippines, Lebanon with a respective Short-term debt (percentage of total external debt) of 17.6, 16.7, 16.6, 16.1, 16.0, 15.5, 14.6, 14.3, 13.8, 13.6 (% of total external debt) and a global rank of 39, 40, 41, 42, 43, 45, 46, 47, 48, 49.10 years growthPeru's Short-term debt (percentage of total external debt) had a positive growth of 73.6 (%) in the last 10 years from (2002 to 2012). 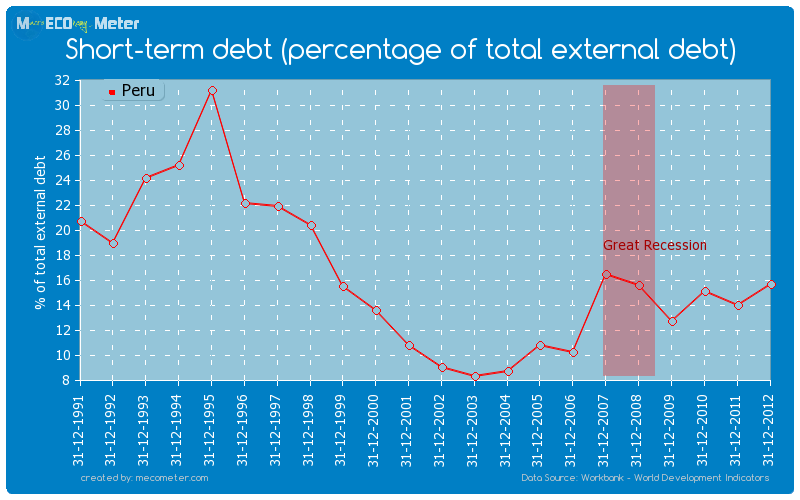 Last 10 years averagePeru had an average Short-term debt (percentage of total external debt) of 12.5 (% of total external debt) in the last 10 years from (2002 to 2012).